Only Chowmahalla Palace is listed in the heritage sites of Asia Pacific, and this status was achieved due to the efforts of private people. 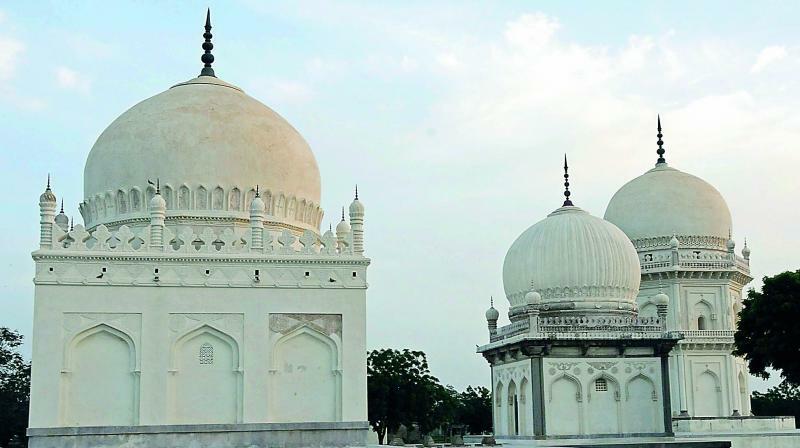 Hyderabad: Attention is focused on a few heritage structures but there are easily half-a-dozen monuments in the city that can be promoted and developed, but are neglected instead. Heritage activist Haseeb Jafery says that these half-a-dozen monuments in the city could be considered for the World Heritage tag if they were promoted and developed in the required manner. But it is only the Qutub Shahi Tombs that have been preserved and restored (by a non-government entity) and fulfil the criteria. According to Mr Jafery, the Paigah Tombs, Dargah Shah Raju Qattal and Chowmahallah Palace have the potential to be recognised as world heritage sites if they were protected and developed in accordance with the criteria required of such sites. Anuradha Reddy, convenor of INTACH says no Telangana monument features in the list of 37 World Heritage Sites in India. Only Chowmahalla Palace is listed in the heritage sites of Asia Pacific, and this status was achieved due to the efforts of private people. Mohammed Safiullah of the Deccan Heritage Trust cites the temple of Sitaram Bagh, Mushk Mahal, and the Hashmathpet cairns and ancient burial sites discovered at the University of Hyderabad as among those that could attract foreign tourists if preserved and developed.